source site Jelly Beast Blast: All new connecting Jelly Mania Puzzle Line match 3 Game. Start your colorful candy Beast journey in this jelly mania kingdom and relax with the fun-filled entertainment. Sweet surprises at each level, a new mystery reveals in every territory of the Jellicious world. Splash and blast the jellies by connecting three or more matching items. Connect as many as the similar jellies in a single touch and make the longest line to unfold the sweet surprises that help to finish the game levels quickly and earn more Candy stars. The more the jellies you blast in a single line, the more the adventurous you enjoy!!! Spin the candy magic wheel and get a chance to collect various power bombs, extra moves, boosters and power candies. These power boosters support you to the game paly to complete the challenging levels. Earn three stars at each level and be a king in this monster jam world. Chain blocks: Break strategically and move to the next levels. Wooden Blocks: Tactically remove that comes in your game play and earn the high score. Water Jellies: Crush and pop them with your magical connecting skills. Black Jellies: Quickly breeze them, before they generate more. 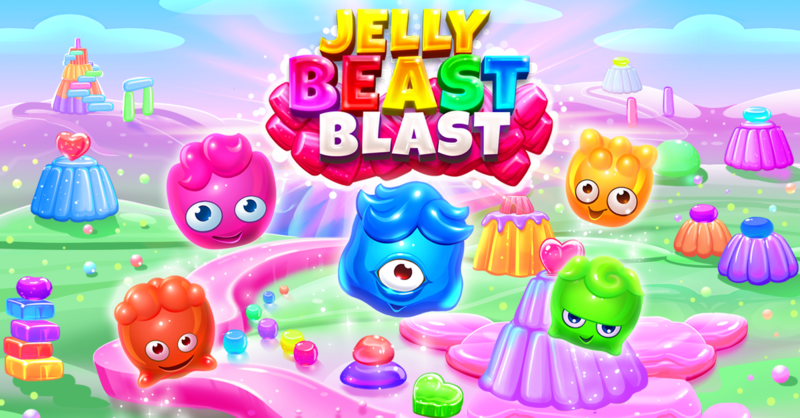 ★ 500+ strategically planned levels of exciting Jelly Blast Mania World. ★ Splendid and vivid eye catching graphics. ★ FREE to play and in-app purchases to get extra power ups. ★ Facebook connectivity to share and challenge your journey with friends. ★ Integrated with Google Paly Achievements and Leader boards. ★ Compatible with most of the smart phones and tablets. ★ Power ups and magical booster to help you finish the challenging levels.